Here's what this lacquer lover will be wearing right through fall. 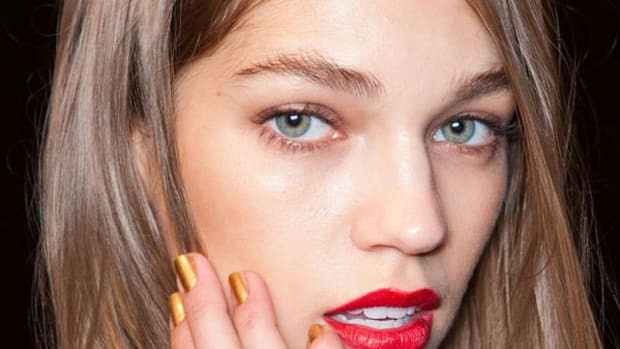 From wacky textures (I&apos;m looking at you, leather nails) to shape-shifting colour effects, we pretty much saw it all when it came to nail polish this summer. 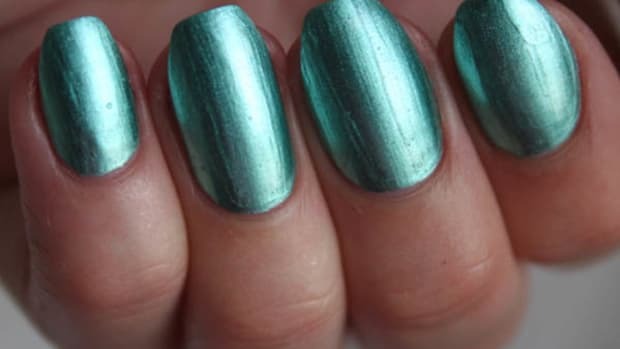 I know fall has just arrived, but I&apos;m still not ready to let go of my favourite nail trends. (Or of the heat. I&apos;ll so miss the heat.) Here are three that I just can&apos;t shake—and that will easily take you into the new season. I don&apos;t know about you, but I love a bright nail—all year long. 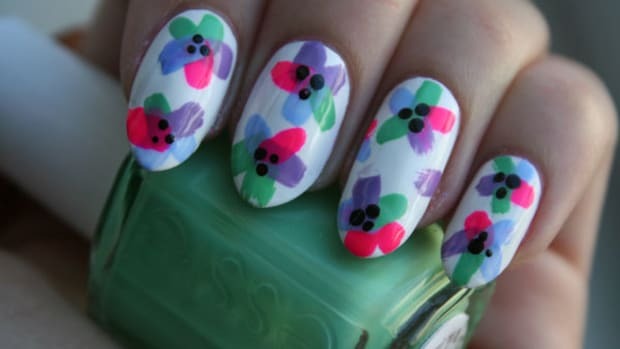 Not only does it make your nails pop, but let&apos;s be honest, don&apos;t happy colours always put you in a better mood? Especially when the rest of your outfit is a fall-ish black and grey. Plus, I totally love being the girl that sports highlighter shades, even in the dead of winter. It&apos;s awesome. Ceramic Glaze Nail Lacquer in Watermelon Cooler (no top coat). Ceramic Glaze Nail Lacquer in Cocacabana Mama (no top coat). (These names could totally double as beachy, boozy cocktails.) They apply perfectly, are ridiculously pigmented and dry matte—which I usually don&apos;t like—but because there’s a subtle shimmer in them, the matte has dimension and it is killer on the nails. 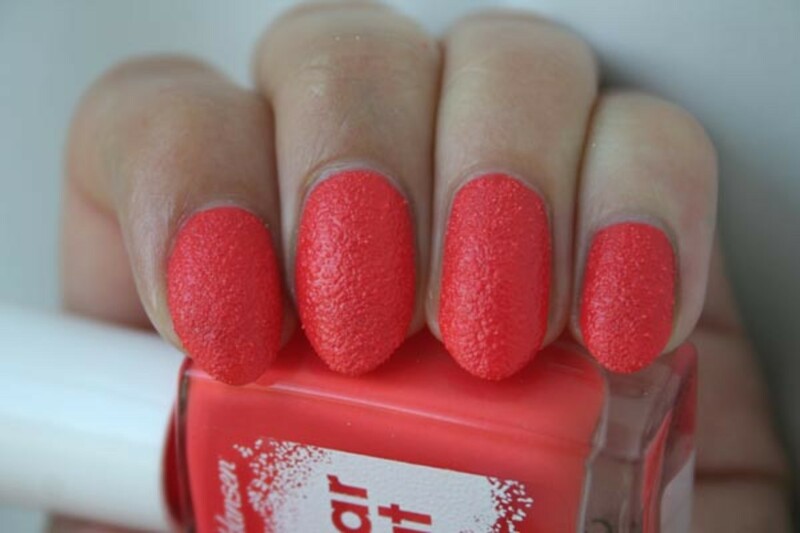 Ceramic Glaze Nail Lacquer in Watermelon Cooler (with top coat). Ceramic Glaze Nail Lacquer in Cocacabana Mama (with top coat). I can officially say this is my new favourite brand. I really couldn&apos;t get over just how awesome the polish was. Plus, I got away with one coat. ONE. Can you believe it? No? Me neither. Revlon&apos;s neons are also very easy to use and win maje points with me because the white is attached to the polish. Why has no one thought of this before? 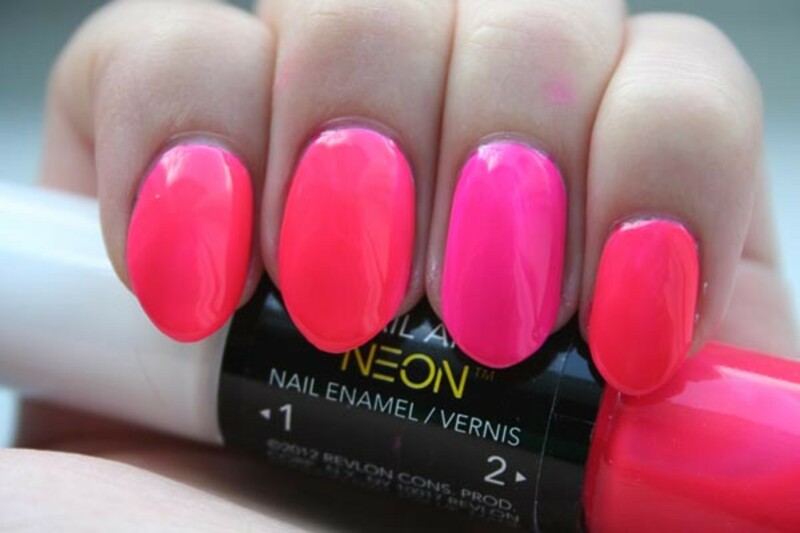 Revlon Nail Enamel in Killer-Watt and Pink Glow. This neon pink + coral combo (Killer-Watt on the pointer, middle and pinky fingers and Pink Glow on my ring finger) above has to be my fav. These two shades will be calling my name come January, and in just this combo. Revlon’s bright blue shade in its Brilliant Strength line, called Mesmerize, is perfect if you want to be flashy, but not too flashy. 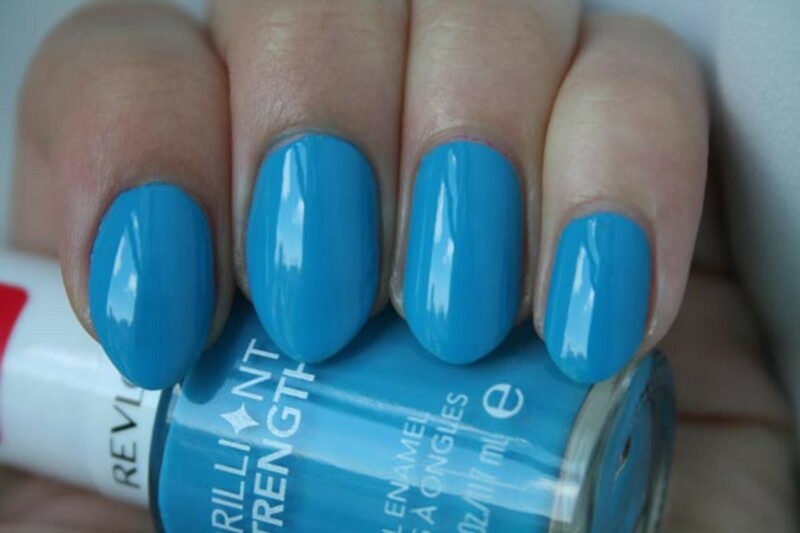 Revlon Brilliant Strength Nail Enamel in Mesmerize. It&apos;s subtle enough that it&apos;s not in your face. That perfect in-between shade for people who want to go to the bright side, but just aren&apos;t ready yet. Sally Hansen’s Back to the Fuschia (Cannot. Take. These. Names.) is like an amped up peony pink–and I love it. Sally Hansen Nail Polish in Back to the Fuschia. Plus, who doesn’t want to wear pink on their nails pretty much all day, every day? I know I do. Sally Hansen Fuzzy Top Coat in Wool Lite. Think top coat just means a clear coat of polish that gives your mani more staying power? Think again. Now they comes in all kinds of forms—from sparkly glitter to matte-ifying magic. Sally Hansen has just come out with a top coat interpretation I know I&apos;ve never seen before. This is called Fuzzy Coat (shade is adorably entitled Wool Lite), and it&apos;s as fuzzy as it is cute. You’re not supposed to add regular top coat to it, so it’s a little bumpy, but seriously, how perfect is it?! They also come in a bunch of other shades (I picked up the black and white one, Tweedy) and are just plain awesome in my opinion. Plus, will look so chic in the fall with a fuzzy sweater. Sally Hansen Sugar Coat Textured Nail Color in Candy Corn. Smooth nails? How booooring! It’s all about texture. 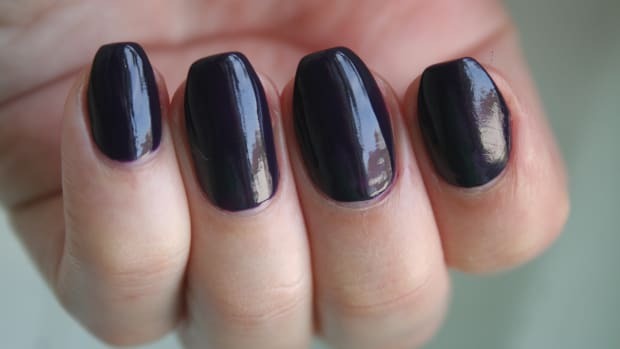 And nothing is more chic than a matte nail for fall, so merging the two is pretty much genius. Check out Sally Hansen’s Sugar Coat polishes, seen above in Candy Corn (which I swear is orange and not red like my camera picked up) and Spare-A-Mint, below. 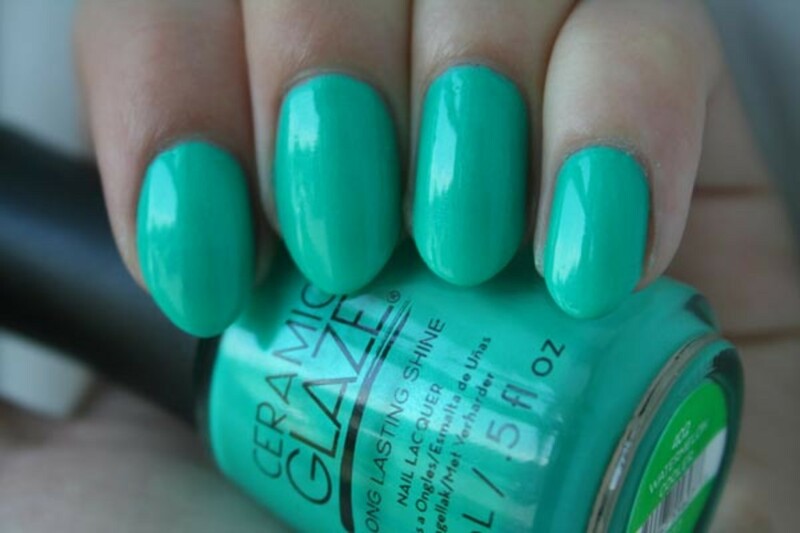 Sally Hansen Sugar Coat Textured Nail Color in Spare-A-Mint. They&apos;re rough, bumpy, and are as far from smooth as they can get. Unlike some other brands doing similar textured polishes, these don’t have glitter –and that makes me sad, but only because I&apos;m glitter-obsessed. Still, they&apos;re pretty cool. I mean, how do they get it to dry like that?! 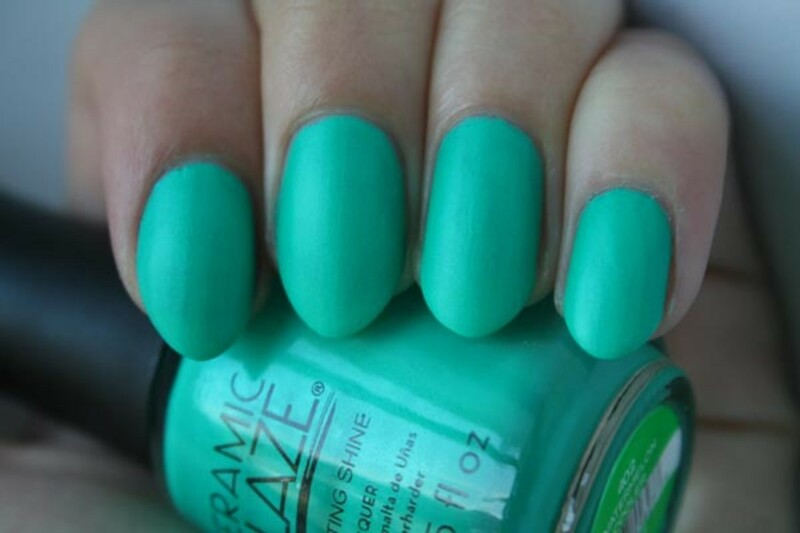 Have you tried any of these polishes yet? Which nail looks are YOU loving at the moment? 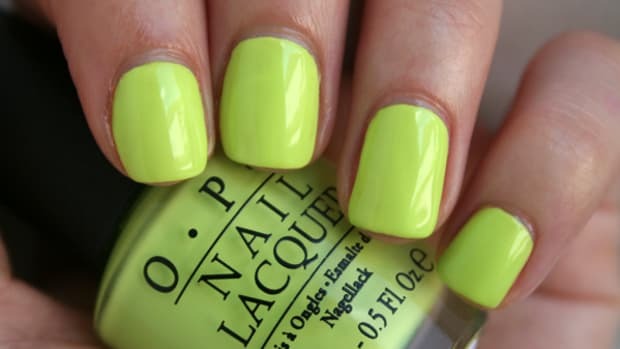 My top picks for the nails you need this summer—all bold and Day-Glo bright! It's ridiculously easy—and inspired by Miranda Priestly! The limited-edition shades in her New York Marquee collection are luxe and oh-so-lovely! 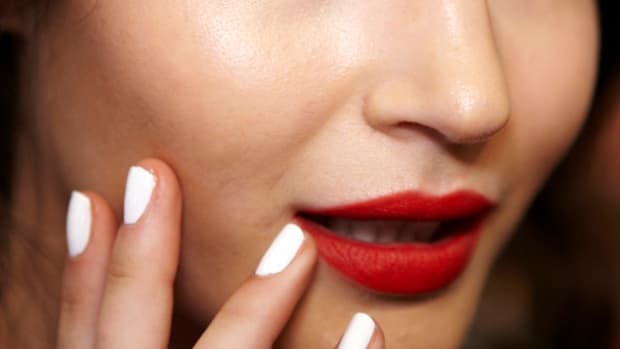 Is Expensive Nail Polish Worth the Money? Here's when to save and when to splurge.